This commissioned interactive laboratory is located in a studio office lobby. Radiance provided lighting, audio, video and show control effects for this installation. 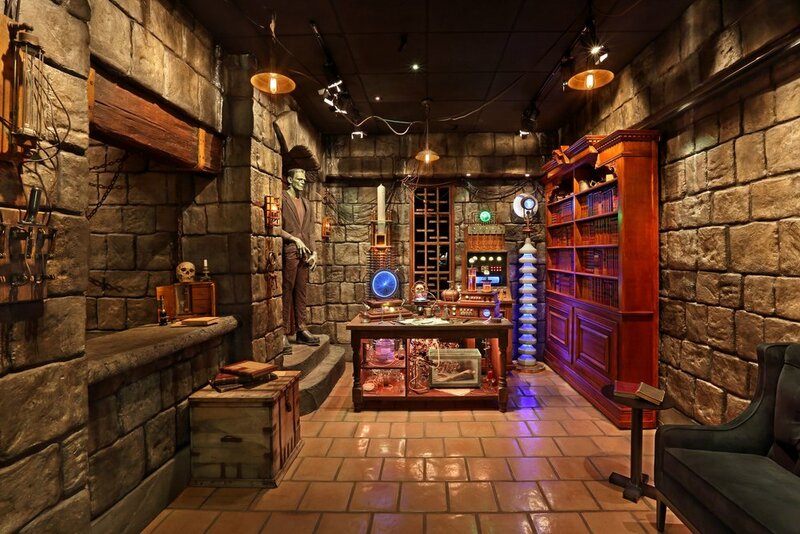 Pulling the lever on the left hand wall launches the room into an animated electrical storm bringing Frankenstein to life.